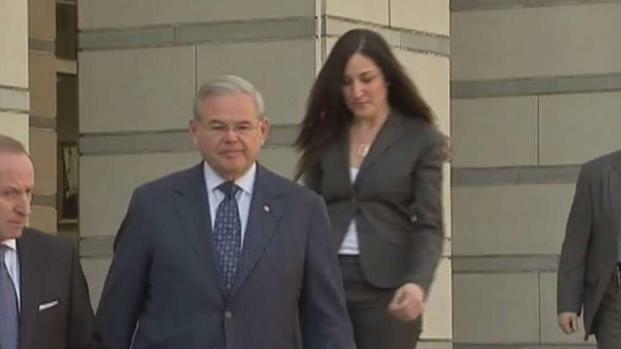 The corruption trial of Sen. Robert Menendez began Tuesday as attorneys gathered to pick a jury. The stakes are high for the senior senator of New Jersey. Brian Thompson reports. New Jersey Sen. Bob Menendez has asked the federal judge in his upcoming corruption trial to alter the trial schedule so he can be present for important Senate votes in Washington. The Democrat made the request Thursday in a filing that mentions potential votes in September on raising the federal debt limit and approving a spending deal to avoid a government shutdown. Federal prosecutors opposed the request, saying Menendez shouldn't be afforded special treatment just because he is a senator. Opening statements in his trial are scheduled for Sept. 6. "A critical aspect of our criminal justice system is that every defendant should be treated equally and no defendant should receive special treatment based on power, position or privilege," the Department of Justice said in a statement. "The Department is fully prepared to proceed to trial on Sept 6." A pool of prospective jurors will assemble for questioning starting Tuesday that will lead to 12 jurors and four alternates for a trial scheduled to begin Sept. 6. Tracie Strahan reports. Menendez's motion pointed to the recent controversial vote on health care in an effort to convince the judge to alter the trial schedule. "The Senate is divided by razor-thin margins on consequential legislation, making Senator Menendez's absence from any particular vote potentially determinative," his motion stated. If a defendant chooses not to attend his or her trial, "the jury may draw whatever inference it wants, including that the defendant did not care enough about his or her case," the motion continued. U.S. District Judge William Walls is expected to rule in the next few days. Walls already rejected Menendez's request to delay the start of the trial until a Senate recess in October. 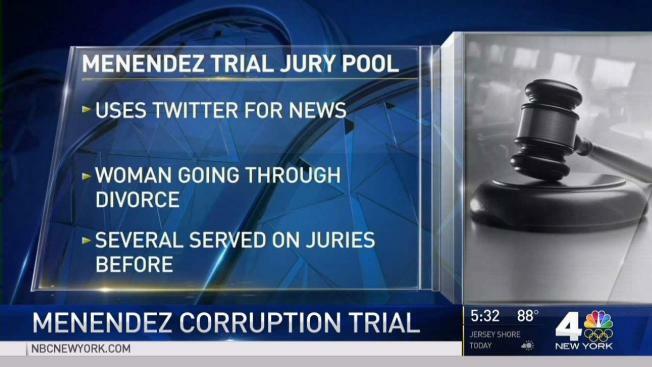 In an interview with The Associated Press last week, Menendez said he would seek to balance the demands of attending his trial and tending to his Senate business. "I want the jury to understand that I fervently believe in my innocence," he said. "If there is a moment where there is a critical vote, I have the constitutional right to go ahead and cast a vote and not be at the trial. I also have a constitutional right to be at the trial. So I will decide which of those constitutional rights I will exercise at any given moment." Menendez and Florida eye doctor Salomon Melgen are charged with fraud and bribery counts. Prosecutors say Melgen donated hundreds of thousands of dollars to help Menendez's political campaign and legal defense fund, and also paid for expensive trips for the senator, in exchange for help with business disputes. Both men have denied there was any bribery arrangement.